Pant’s unbeaten 159 against Australia in Sydney has seen him jump 21 spots and earn a career-best 673 rating points, surpassing MS Dhoni’s career-best record of 662 points and Farokh Engineer’s mark of 619. 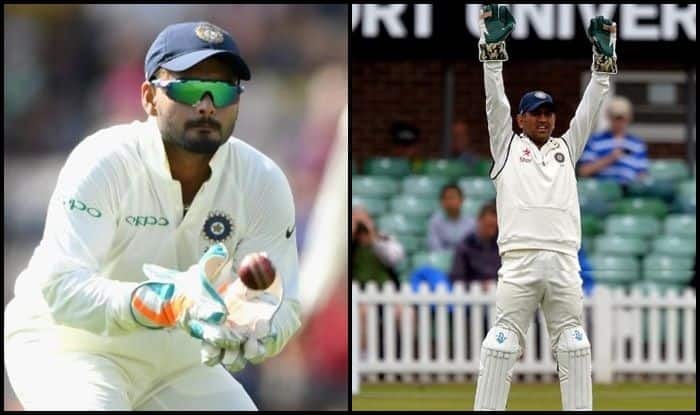 India wicketkeeper Rishabh Pant has added another feather to his crown and it is former Indian captain, MS Dhoni, again who he has surpassed. Pant has pipped MS Dhoni to achieve the highest-ever Test Batting ICC Rating For an Indian wicketkeeper. Pant’s unbeaten 159 against Australia in Sydney has seen him jump 21 spots and earn a career-best 673 rating points, surpassing MS Dhoni’s career-best record of 662 points and Farokh Engineer’s mark of 619. Pant even scored more than World No 1 batsman Virat Kohli in terms of runs scored in the four-match Test series apart from becoming the first Indian and Asian wicket-keeper to slam a century on Australian soil. Young Pant made his debut just last year in the Test scheme of things and has already scored 700 runs comprising of to centuries. His maiden ton was in England. Meanwhile, Man of the Series and Match at SCG has merely gone up by a spot in the ratings, he is at the third spot, moving ahead of banned Steve Smith. Virat Kohli maintains his No 1 spot, despite not having a series in terms of batting like he would have liked but that did the job as his team created history by becoming the first sub-continent team in 71 years to win a Test series Down Under.